This is an exciting time to move your career forward with Union Bank®. Since 1864, Union Bank has been a pillar of the communities we serve, providing responsible relationship banking and a commitment to doing what's right. Union Bank is a full-service bank committed to serving the financial needs of our individual and commercial clients on the West Coast. We aim to create an exceptional banking experience for each and every client, whether online or in-branch, because we want to be their financial partner for life. 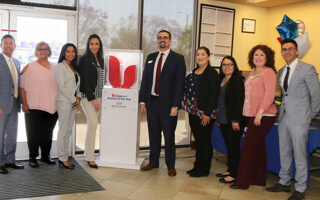 Union Bank operates more than 300 branches throughout the West Coast, offering a full array of personal and small business banking products and services, including home loans and lines of credit, credit cards, checking and savings, investments and insurance. Our bankers are committed to delivering sound financial advice and tailored solutions for each client, so they can feel confident in – and empowered by – the choices they make. From data and insights, to products, marketing and digital channels, the Consumer Banking team is working hard to innovate and deliver exceptional experiences for today’s modern consumers. The Private Bank and our subsidiaries, HighMark Capital Management and UnionBank Investment Services, serve high-net-worth individuals, institutional clients, professional services firms, and corporate commercial clients for Wealth Planning, Trust & Estate Services, Investment Management, Brokerage and Banking. Union Bank has a rich heritage of serving the needs of middle-market companies with revenues from $10 million to $2 billion. 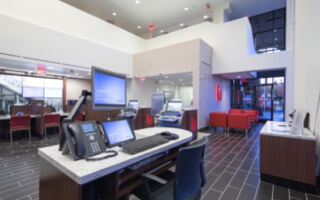 We specialize in serving the business banking needs of the Technology, Healthcare, and Non-Profit sectors as well as clients in the Architecture, Engineering & Construction, Independent Supermarkets, Craft Brewing & Spirits and Wine industries. 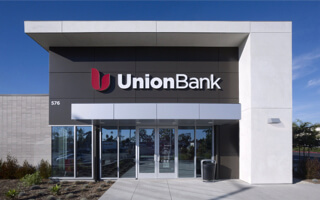 Union Bank provides financing solutions for existing properties and construction projects to professional real estate developers throughout the West Coast. U.S. property types supported include: apartment, office, retail, industrial, single-family residential and hotels. The REI group also makes tax credit investments in affordable housing projects. We're passionate about the financial well-being of our clients and helping them achieve their goals.